ASRock is a big name in motherboards but only recently started making graphics cards. Now the company's leveraging its traditional expertise to offer a tantalizing bundle for gamers--especially if you're building a new PC from the ground up. 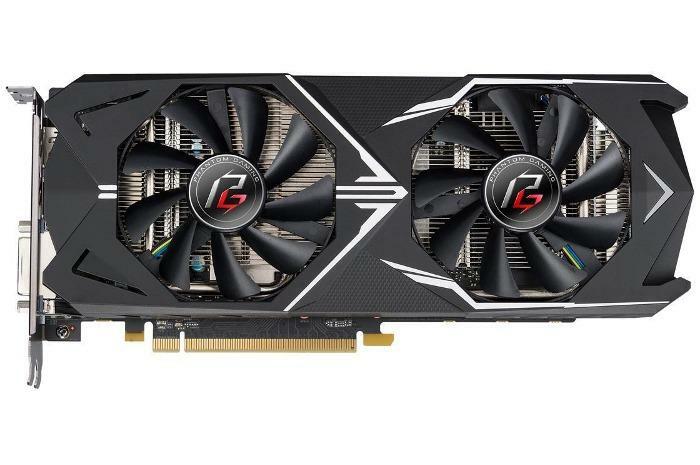 Until Thursday, you can get an 8GB ASRock Phantom Gaming X Radeon RX 580 for $300. That's a pretty average price right now for an 8GB RX 580, but to sweeten the deal Newegg's throwing in a $90 ASRock AB350 Pro4 motherboard for free. As long as you need that motherboard, this bundle means you're getting ASRock Phantom Gaming X for far below the 8GB RX 580's original $240 MSRP, in an era where AMD GPUs are still selling for significantly over list prices. The deal ends on Thursday. You'll need to grab an AMD Ryzen processor to pair with your Radeon RX 580 and new motherboard, but that's a nice way to get great gaming performance at a good price. The AB350 Pro4 supports Ryzen APUs and first- and second-gen Ryzen CPUs—every modern AMD chip on offer, essentially. This dual-fan RX 580 features a 1,380 MHz base clock, a 1,435 MHz boost clock, and should deliver an impeccable 1080p gaming experience with all the in-game graphical bells and whistles enabled. It should also play games at 1440p resolution at a decent clip. For ports, you've got one dual-link DVI-D, one HDMI 2.0, and three DisplayPort 1.4 options. ASRock says the fans have double ball bearings that are supposed to reduce friction and extend the card's lifespan by up to 100,000 hours.